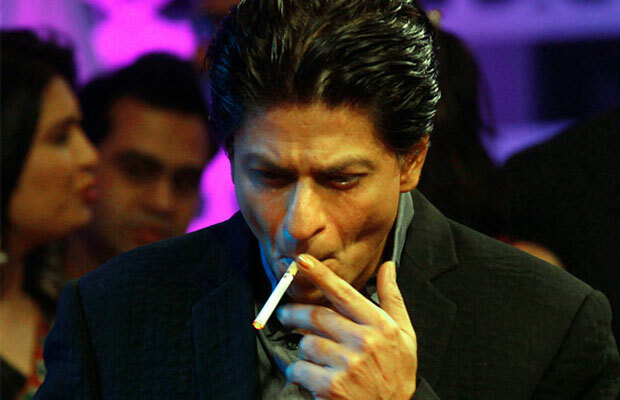 You Won't Believe How Many Cigarettes Shah Rukh Khan Smokes A Day! Home BOLLYWOOD You Won’t Believe How Many Cigarettes Shah Rukh Khan Smokes A Day! You Won’t Believe How Many Cigarettes Shah Rukh Khan Smokes A Day! [tps_footer]Bollywood actor Shah Rukh Khan is always in a limelight for some or other reasons. Be it for his films or controversies, the actor somehow makes it to headlines. A day ago, Shah Rukh Khan was in the news after he was detained at the US airport by the immigration department. The Dilwale actor was detained for questioning by the US immigration department. However, the officials of the US then apologized to the actor for the trouble. Well, we all know SRK is cool enough and the same was proved yesterday when he calmly cooperated with the US officials. Note, he kept his patience intact even after being detained for the third time. Well, there are many such facts of Shah Rukh Khan’s nature that we are not aware off. Did you know SRK is very much foodie? Yes, SRK is very much a foodie and loves trying different dishes at the restaurants. The actor can eat any dish without any complaints because he thinks it’s a god’s gift to all. In fact, during an interview, SRK had revealed that he loved food cooked by his mom and dad. He also shared that till the age of 26, his mom used to feed him food. While we know many good things about SRK, there’s a very bad thing the actor is addicted to. Yes, it’s smoking! In 2011, during an interview, Shah Rukh Khan himself had admitted that he smokes about 100 cigarettes a day. Not just cigarettes, he also consumes 30 cups of coffee a day while he is shooting. Now that’s unbelievable.